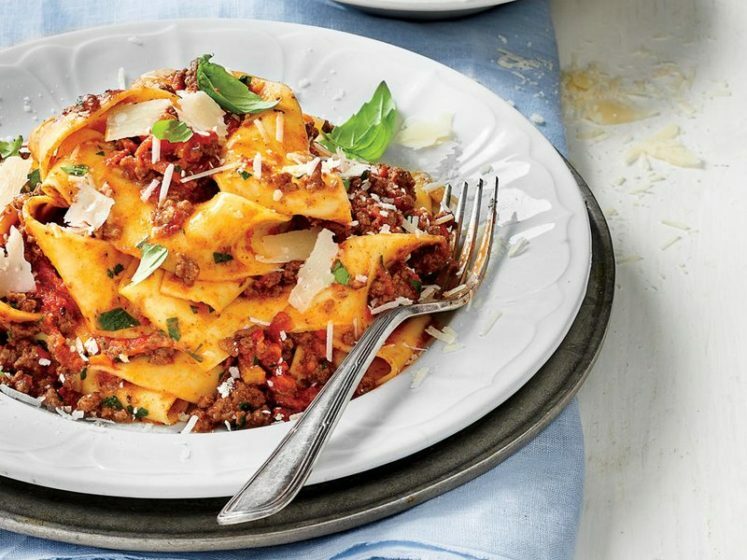 This recipe for Bolognese Sauce over Pappardelle Pasta is started on the stove but finished in a slow-cooker – no tending necessary. Just set this up in the morning or at lunch and it will be ready for the perfect dinner. If it is done before you are ready to serve dinner, simply turn your slow-cooker to warm. See this recipe by clicking next below.